Organizational Development Services – services to advise communities on how to create and sustain their Main Street organization. Board Member, Staff, and Committee Training – training for staff and volunteers to understand the Main Street Approach™, their roles and responsibilities, and techniques and best practices for revitalizing downtown. Business Development Assistance – training in understanding the downtown’s economic strengths and weaknesses, development of plans and strategies to improve the downtown business climate. Promotion and Marketing Assistance – training services to help local Main Street organizations identify and implement effective marketing strategies, as well as individual downtown promotional events and activities. Planning Assistance – services to develop short-term action plans for the Main Street organization, as well as long-term plans that guide the development and revitalization of the Main Street district. Interested in learning more about the program? 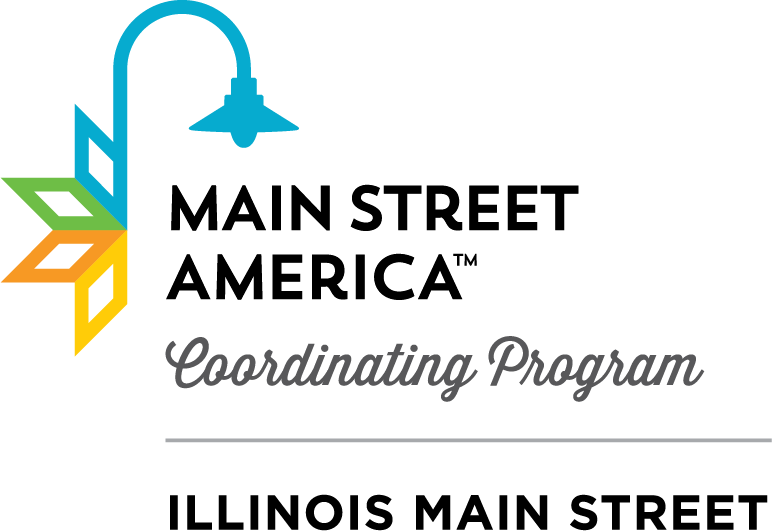 Contact us at illinoismainstreet@savingplaces.org. Applications for new communities will be available February 2019.